The Paul Wescott Show on WTAG AM/FM Radio called upon my relationship expertise to provide tips, during their newest segment entitled: ‘Improving Yourself’. 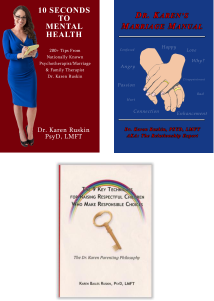 As the 1st relationship expert to appear on their show, if you missed my LIVE interview, it is available for on demanding listening via iHeart Radio: ‘Improving Yourself – Relationship Tips With Relationship Expert/Marriage & Family Therapist Dr. Karen Ruskin’. If you wish to learn more practical do-able tips to have a healthy, happy, intimate, communicative, successful marriage, that can be enhanced at any phase and stage whether you are newlyweds or have been married for what feels like a lifetime, check out: Dr. Karen’s Marriage Manual.